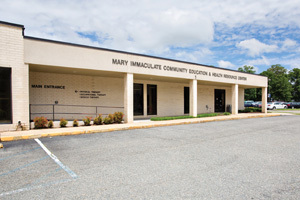 Centrally located on the Mary Immaculate Hospital campus in Newport News, In Motion Physical Therapy is housed in the Community Health Education building opposite of the hospital’s north entrance. Follow the signs for Visitors Parking Lot. We accept most insurance plans and HMO’s. Please call to find out if our practice is a provider of your insurance plan. For your convenience, we will be happy to file your insurance claim. Save time and organize your important health information before you arrive. For your convenience, we provide basic forms, please complete them before your visit and bring them with you to your first appointment.